Not content with controlling the drug trade in Britain's biggest cities, it has emerged that violent gangs are spreading their networks to rural and coastal towns to peddle heroin and crack cocaine. The National Crime Agency has discovered 180 gangs that are setting up 'franchises' in smaller towns across the UK, using teenagers and children as drug runners. Often grooming the youngsters with money and gifts, young girls get caught up in sexual violence synonymous with gangs. The assessment by the NCA suggests urban gangsters are making 1.8 million drug deals every month, driving down the price of drugs to attract new business and win the market. Intelligence reveals that 181 gangs have recruited more than 800 people to deal drugs. Police say it's fueling violence that has never been seen before in smaller cities in areas around Gloucestershire, Folkestone and Kent. Ian Cruxton, NCA's director of organized crime said: "We have seen more than one group from London competing for the same territory. "If the area is seen to have particularly rich pickings, we've seen more than one gang from the same urban location also competing with another gang. "We know that gangs target local children who are unknown to social services and in their eye are less likely to attract police attention." It's estimated that the new rural franchises net $31,200 (£20,000) a week in profits. But at what cost to the community? It comes as no surprise that vulnerable young people are being exploited to facilitate the running of drug dealing in what's described as 'County Lines', which means mobile phone lines are extended from big cities to new locations in the country. The Gang and Youth Violence team within the Home Office are recommending that these 'County Lines' could be "successfully disrupted". "Mobile phone 'lines' are an essential feature of these enterprises; it is judged that developing a viable tactic to disrupt lines would have a substantial effect," which suggests the next steps by the Home Office will be to authorize police surveillance and interception of these wires. But critics argue this could be another expensive use of diminishing police resources, which won't tackle the real issue — let alone the so called 'War on Drugs'. One in six children in the UK take drugs and around 2,000 people die each year in drug-related incidents. A Home Office report, commissioned by the Coalition government at the beginning of the year, found that "there is no apparent correlation between the 'toughness' of a country's approach and the prevalence of adult drug use." 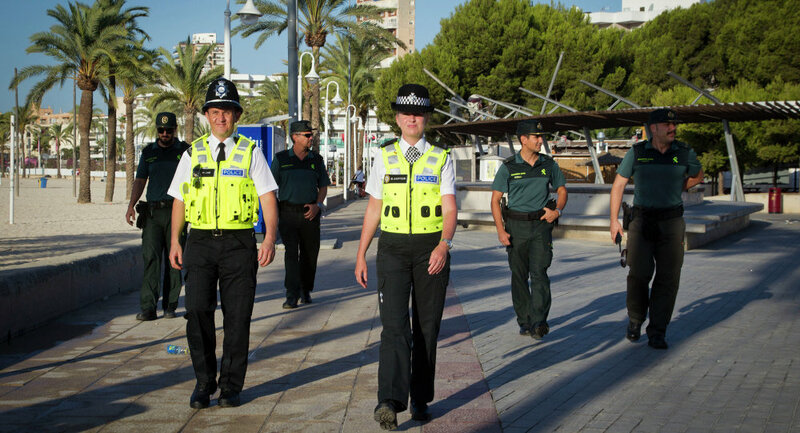 Meanwhile, gaining more headlines than 'County Lines' has been the decision to send British police to Spanish holiday resorts to solve crime. The Foreign Office funded scheme has been branded a 'joke' by tourists. "Last year in Ibiza and Mallorca our consular staff dealt with 1,800 British nationals who had been detained, hospitalized or needed emergency travel documents to get home." But back on UK shores, the 'County Lines' causing the biggest drug problems are in towns near the seaside.